When someone says they want the naked truth, what they are looking for is a complete and unembellished version of the facts. There’s an old Roman fable that tells the tale of Truth and Falsehood. While Truth was swimming in the river, Falsehood stole his clothes and left behind different clothes for Truth to wear. Rather than put someone else’s clothes on, Truth made the decision to go naked instead. In other words, he would rather be his authentic naked self. From this fable came the expression nudaque veritas or, in English, the naked truth. The concept of the naked truth is from Ancient Rome, and quite likely much earlier. The phrase has been used in a great many novels, movies, and television series. There was the 1914 silent Italian film as well as the 1957 British comedy film and the 1992 American comedy film. In the 1915 silent movie “Hypocrites” there was a character known as the Naked Truth. There were a number of music CDs from such artists as Lil’ Kim in 2005, Sarah Hudson in 2005, Jeanette in 2006, and others. There’s even a quartet in Atlanta (GA) called the Naked Truth! There was a Russian television program hosted by Svetlana Pesotskaya named The Naked Truth and an American television sitcom starring American actress Téa Leoni from 1995 to 1996 on ABC and from 1996 t0 1998 on NBC. There’s a Naked Truth statue in St. Louis (MO) that stands as a memorial to three German-American newspaper men: Carl Schurz, Emil Pretorius, and Carl Daenzer. There’s even a cellphone app by that name! But when was the exact phrase naked truth first published in English? Many sources allege the phrase was first published by Scottish Jacobean courtier and poet from the court of King James VI Alexander Montgomerie (1550 – 22 August 1598), and that it was first included in his best known poem “The Cherrie and the Slae” which was written sometime in 1584 although it was completed in 1597. The poem’s existence is based on the fact that a passage was found in James VI’s manifesto “Some Reulis and Cautelis to be Observit and Eschewit in Scottis Poesie” in late 1584. The phrase was used in this section of the poem. I trumped never a man. But onely loath to lie. It also appeared in “Faultes, faults, and nothing else but faultes” by English author and soldier (he fought in Queen Mary’s war with France, 1557 to 1558) Barnabe Rich (1540 – 10 November 1617) and published in 1606. This implies the phrase was already known to the public. A naked tale doth most truly set forth a naked truth, and verity then shines most brightly, when she is in least bravery. INTERESTING SIDE NOTE 1: Barnabe Rich was a distant relative of Lord Chancellor Rich. It also appeared in a letter to the right Honorable Sir William West, Knight and Lord De la Warre written by English writer, poet, dramatist, and courtier John Lylie (1553 – 27 November 1606) and published as “Eupheus” subtitled “The Anatomy of Wit: Verie pleasaunt for all Gentlemen to Read, and Most Necessarie to Remember” on 5 December 1578 — six years before Alexander Montgomerie included the phrase in his poem. If thefe thinges be true, which experience trieth, that a naked tale doeth soft truelye fet soorth the naked trueth, that where the countenaunce is faire, there need no colours, that painting is meeter for ragged walls than fine marble, that veritie then shineth most bright when fhe is in leaft brauerie, I fhall fatiffie mine ovvne minde, thought I cannot feed their humors, which breatly feeke after thofe that fift the fineft meale, and beare the whiteft mouthes. Now both naked and truth date back in English to the 14th century, with the word truth meaning correctness and accuracy from the 1560s, and naked meaning what it means today. This indicates the expression naked truth dates back to the 1560s (making it the 16th century) for it to have been used in 1578 with an expectation readers would understand what the expression meant. It’s been long said that dead men tell no tales, and if you’ve committed a crime to which there were witnesses, it’s believed that permanently silencing those witnesses prevents them for sharing what they know with the authorities. The good news is that technology and forensics have advanced to the point where this adage is no longer true. Advancements in science have made it so that dead men still tell tales. Now that the macabre has been addressed, Idiomation is free to tell the tale of where dead men tell no tales first began. For those of you who love movies, you’ll be happy to hear that the fifth installment of the Pirates of the Caribbean movie franchise is titled, “Dead Men Tell No Secrets” and is scheduled for theater release on 26 May 2017. In this movie, the evil Captain Salazar and his crew escape from the Devil’s Triangle and set their sights on killing every pirate at sea, but most especially, on killing Captain Jack Sparrow played by Johnny Depp. As you know, whether it’s telling tales or keeping secrets, it’s a fact that pirates believe that dead men neither tell tales nor secrets. The idiom is most often associated with pirates but it’s not exclusively a pirate expression. The Star and Sentinel newspaper of January 18, 1882 published the story of Whitelaw Reid of the New York Tribune who squelched the efforts of certain newspaper pundits interested in reviving the Cokling-Garfield quarrel by “directing their assaults against Mr. Blaise as Mr. Garfield’s evil genius.” It had to do with the nomination of Judge Robertson by the President. It follows that this “friend of Garfield” or some accomplice must have stolen the telegram, and then presuming that it had been delivered to the President and that “dead men tell no tales,” undertook to cover up the theft of the deliberate lie that the President showed him the dispatch and allowed him to copy it. It also appeared in the work of English pamphleteer, farmer, and journalist William Cobbett (9 March 1763 – 18 June 1835) in the September 26, 1797 edition of the Porcupine’s Gazette. 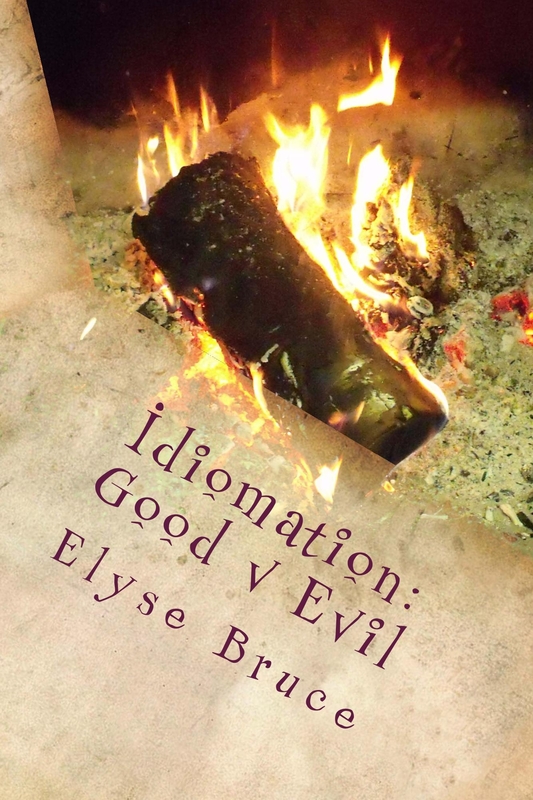 While it wasn’t an exact version of the idiom, it was nonetheless a very close relative. Not content with deserting my service, he appears desirous to pre­judice the public against me, and my brethren, asserting in strong terms, that we are enemies to the noble science of blood-letting: This is abominable and contrary to the truth. For I am, and shall be no­lens volens, an advocate for the practice, and it is my creed that it will cure all diseases—as our good allies the French have clearly pro­ved in their practice,—I have also another reason for commencing the business of a physician; In fact, the villainous liquors my wine mer­chant obliges me to supply my guests with, has lately caused in the latter severe and harsh expostulations, and, as I am a conscientious man, I wish to follow a quiet business, and I prefer that of the lancet, be­cause you know Mr. P. dead men never tell tales. SIDE NOTE 1: William Cobbett’s pseudonym for this work was Peter Porcupine. The idiom was used more than a century earlier by John Dryden, in Act IV scene i of his play “The Spanish Fryar or The Double Discovery” published in 1681. This work was a comedy in five acts, and was first performed at Duke’s Theater. The idiom appears in the conversation between Lorenzo (who is the son of Alphonso) and Dominic (the Spanish Fryar). And make what haste you can to bring out the Lady. What say you, Father? Burglary is but a venial Sin among Souldiers. I shall absolve them, because he is an enemy of the Church – there is a Proverb, I confess, which says, That Dead-men tell no Tales; but let your Souldiers apply it to their own Perils. What, take away a man’s Wife, and kill him too! The Wickedness of this old Villain startles me, and gives me a twinge for my own Sin; though it come far short of his: hark you Souldiers, be sure you use as little Violence to him as is possible. For he that hath his body loaden with meat and drink, is no more meet to pray unto God than a dead man is to tell a tale; neither can the mind of such one any more fly unto God with heavenly desires, than a ship, too much cumbered with burdens and at the point to sink, can any longer float upon the waters. SIDE NOTE 2: Thomas Becon was the chaplain to Archbishop Thomas Cranmer (2 July 1489 – 21 March 1556), Prebendary of Canterbury, during the reign of King Edward the Sixth. SIDE NOTE 3: Archbishop Thomas Cranmer was the Archbishop of Canterbury during the reigns of Henry VIII and Edward VI, and when Mary I came to power, he was put on trial for treason and heresy against the Roman Catholic Church. SIDE NOTE 4: Thomas Becon married and had three children: two sons (Theodore and Basil) and a daughter (Rachel). His daughter married William Beswicke of Horsmanden who was the High Sheriff of Kent in 1616. SIDE NOTE 5: Until 1974, the High Sheriff was known simply as the Sheriff. At the time William Beswicke was the Sheriff, he was the principal law enforcement officer in the county. Long before Thomas Becon talked of dead men telling no tales, there was a Persian poet named Abū-Muhammad Muslih al-Dīn bin Abdallāh Shīrāzī (1203 – 9 December 1292) — known as Saadi as well as Sheikh Saadi of Shiraz– who wrote about this in 1250. This was his advice on how to deal with quacks and charlatans. With stones, for dead men, as you know, tell no tales. But the sense of the idiom is older than that. The Latin phrase mortui non morden when translated word-for-word is dead men don’t bite. However, the phrase is used to underscore the belief that killing one’s enemies or victims is the surest way for them to never speak of what happened, and as such, the phrase mortui non morden really means dead men tell no tales. This version of the idiom was used by Plutarch (46 AD to 120 AD) in Part III of “The Life Of Pompey” covering Pompey’s return to Rome from 62 to 48 BC, during the reign of Julius Caesar (13 July 100 BC – 15 March 44 BC). The chapter included this passage that spoke of Theodotus of Chios who Plutarch identifies as the person who was responsible for Pompey’s death. This is an English translation of what Plutarch wrote. SIDE NOTE 6: Yes, this is the Julius Caesar who was assassinated on the Ides of March in 44 BC. SIDE NOTE 7: Julius Caesar’s successor was his grand-nephew Augustus (23 September 63 BC – 19 August 14 AD) and is considered the first Roman Emperor. He controlled the Roman Empire until his death. Idiomation believes Plutarch to be the originator of this idiom as he clearly demonstrated the veracity of the claim in his writings that dead men tell no tales, with a nod to Saadi of Shiraz for the exact wording. If you think something or someone might cause problems, don’t address it until it actually causes problems, and that’s what’s meant when you hear someone say never trouble trouble till trouble troubles you! In this respect, it’s related to let sleeping dogs lie, don’t meet troubles halfway, and don’t cross the bridge till you come to it. On September 10, 2010, SB Nation (a grassroots network of fan-centric sports communities) added “Schadenfreude Fridays” to their regular offerings. The first article in the new column took a look at some of the lesser games that were available back in the 8-bit days of the NES gaming system. In reviewing the game “Bad Street Brawler” the reviewer stated that the video game wasn’t fun to play and that it was one of a small handful of games that were outright terrible. The review of the game began with this comment. BSB greeted players with protagonist Duke Davis’s motto, “Never Trouble Trouble ‘Til Trouble Troubles You.” On the strength of that alone we could probably include this game on the list, but its awfulness goes so much deeper. Robert N. St. Clair thought the idiom should be the title of a play, and so he wrote, “Never Trouble Trouble: A Rollicking Face In Three Acts” in 1938. A prolific playwright of comedic dramas, this play was part of the collection of plays he wrote in this genre. While it was one of his earlier works, it was one worth noting for its humor. Idiomation found the idiom in a poem by Fanny Windsor, titled, “Never Trouble Trouble” and published in Volume XIX, Number 5 of The Manifesto from May 1889. The magazine was published in Shaker Village, New Hampshire. ‘Gainst lions in the way. That same year, Volume 2 (from M to Z) of “The Salt-Cellars: Being A Collection of Proverbs Together With Homely Notes Thereon” by Charles Haddon Spurgeon and published by Alabaster Passmore and Sons in London (England) included the idiom found in Fanny Windsor’s poem. It was also part of the advice that Abraham Lincoln (12 February 1809 – 15 April 1865) gave Reverend Phineas Densmore Gurley’s daughter, Frances Mary Gurley (9 July 1841 – 22 August 1907), and her husband, Civil War Union Officer, Major William Anthony Elderkin (15 May 1839 – 1 January 1900), when they married on June 9, 1861. The Reverend Gurley (12 November 1816 – 30 September 1868) was the chaplain of the United States Senate as well as the pastor of the New York Avenue Presbyterian Church in Washington, DC. A man needs a wife as much in war as he does in peace. I think he needs her more. Stay with your husband when you can. Don’t let a third party interfere between you two; stay by yourselves. Never trouble trouble till trouble troubles you. In the Dunstable New Hampshire Telegraph newspaper edition of July 20, 1836, the expression showed up in a bit of advice about the weather. The Weather – After all, the weather seems to be such as to promise something to the farmer. We shall have no famine at present. Grass, grain, fruit, potatoes, and a thousand other things look well and promising. Corn is backward, but has changed its color within a day or two, and shot up surprisingly. No use in long face. “Never trouble trouble till trouble troubles you,” was good advice, coming from a good source. In November 1779, the United States Congress voted unanimously to nominate John Adams (30 October 1735 – 4 July 1826) on a mission to negotiate the end of the war and a peace treaty with Britain as well as a commerce agreement. His diplomatic assignments took him to Paris in 1779 and later on, to the Netherlands in 1780. At the time, John Adams (who later became the second President of the United States) had to negotiate with France as well as with Britain because of the Treaty of Alliance which stipulated that, until the allies agreed jointly to ending the war, in the eyes of signatories to the Treaty of Alliance, the war was not ended. On May 12, 1780, John Adams wrote a letter to his wife, Abigail, that including the proverb. Never trouble trouble till trouble troubles you. I must study politics and war that my sons may have liberty to study mathematics and philosophy. My sons ought to study mathematics and philosophy, geography, natural history, naval architecture, navigation, commerce and agriculture in order to give their children a right to study painting, poetry, music, architecture, statuary, tapestry, and porcelain. Quid iuvat dolori sui occurrere? What help is it to run out to meet your troubles? Idiomation was unable to find an earlier published version of never trouble trouble until trouble troubles you prior to 1741. This indicates that somewhere between 1670 and 1740, the proverb was reworded. Idiomation therefore pegs the date to 1740, with a nod to Lucius Annaeus Seneca. For decades, it was said that the hair of the dog was the surefire cure for hangovers cause by drinking too much alcohol the night before. In time, the expression came to mean any alleged cure-all whether it related to overindulgence in alcohol or addressing the most serious of business difficulties. The full expression is actually the hair of the dog that bit you, and while it’s doubtful that a dog bite will cure your hangover, the idiom itself has an interesting past not only in literature, but in folklore as well. In the book, “Bent’s Fort” by David Sievert Lavender, published in 1954. The story was about Charles and William Bent, who established Bent’s Fort, and the trappers, traders, and mountain men that were part of the old Santa Fe trail. The idiom is used in this passage. Perhaps there was a post-wedding fandango on Saturday, May 2, or it may have been only a gentlemen’s gathering that cause Frank Blair to wake up Sunday morning feeling in need of the hair of the dog that had bitten him. One eye-opener called for another. Soon he was so tanked that George had to help him navigate toward home. AS they crossed the plaza, they passed a crowd of loafers, some thirty or so, congregated about Steve Lee’s store. Of course, back in 1774, an author identified simply as Fidelio wrote and published “The Fashionable Daughter, Being A Narrative of True and Recent Facts By An Impartial Hand.” In this book, the author spoke of the hair of the dog thusly. Based on this passage, the idiom was considered an old Caledonian (meaning Gaelic) proverb. However, a French and English dictionary composer by Randle Cotgrave and published in 1673 had not only the idiom but a definition included. To take a remedy for a mischief from that which was the cause thereof; as to go thin clothes when a cold is taken; or in drunkeness to fill a quaffing, thereby to recover health; or sobriety, near that which sense our Ale-knights often use this phrase and say, give us hair of the dog that last bit me. In Samuel Pepys diary, on April 3, 1661, he also spoke of the hair of the dog that bit him, describing his overindulgence in alcoholic beverages the night before. A pick-me-up after a debauch: apparently a memory of the superstition, which was and still is common, that, being bitten by a dog, one cannot do better than pluch a handful of hair from him, and lay it on the wound. Old receipt books advise that an inebriate should drink sparkingly in the morning some of the same liquor which he had drunk to excess overnight. 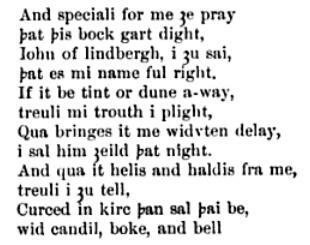 In fact, in the 1546 edition of “A dialogue conteinyng the nomber in effect of all the prouerbes in the Englishe tongue” by John Heywood, the following ditty is included. As amusing as all that is, the fact of the matter is that the idiom has its roots in the Roman saying, similia similibus curantur which translates to mean like things cure like. In other words, they believed the best antidote for whatever ailed you, was to have more of the same. The idiom the “end crowns the act” has come full circle, with the modified version being most common these days while the original proverb being firmly entrenched in coats of arms. What it means is that the ends justify the means, and so, regardless of whether you agree or disagree with a course of action, if the end result if the best result possible, the means will be overlooked in favor of focusing on the success. The idiom proved difficult to track down at first, with the first hint of it finally found in a newspaper article over 100 years ago. In the American Journal of Numismatics, Volumes 33 through 35 that were originally published between July 1898 and April 1899, the idiom appears on page 145. It is, however, not without some degree of reluctance, that we hazard an opinion as to its merits, before we have fairly heard the author out with his story. The end not only “crowns the work,” as the proverb expresses it, but it does something more. It explains, illustrates, reconciles all the parts, and, by discovering fully their relation to each other and to the whole, often shews the fitness and propriety of what, perhaps, at first appeared questionable or unsatisfactory. This version using the word “work” instead of “act” was indeed the phrase most used during this period. In fact, the idiom is found in “The Mystery of Edwin Drood” by Charles Dickens, published in 1870, where this passage is found. 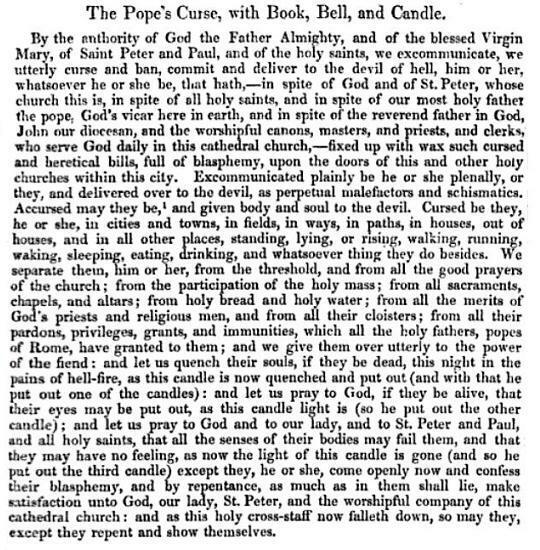 A hundred years prior to “The Southern Review” being published in 1830, the book by William Fleetwood (also known as the late Lord Bishop of Ely) entitled “A Plain Method of Christian Devotion” — translated from a book written by Pierre Jurieu — enjoyed its 26th printing. Undoubtedly, this book was very popular with readers. Not only was William Fleetwood (1 January 1656 – 4 August 1723) the Lord Bishop of Ely, he was regarded as the best preacher of his generation, and had the respect of Queen Anne (6 February 1665 – 1 August 1714). Economists and statisticians credit him for creating the price index, as presented in his book “Chronicon Preciosum” published in 1707. Pierre Jurieu (24 December 1637 – 11 January 1713) was a French Calvinist controversialist who became a professor of theology and Hebrew at the Protestant Academy at Sudan in 1674 which is the year he published “Traité de la dévotion.” His writings were considered unorthodox, however, he was considered a tireless worker for all aspects of the Calvinist cause. It’s in the translated text that the idiom is found. When once the man is come to that, he cannot be converted to God, he cannot be received but by cries and tears, and the voice of our Lord that worketh wonders. This methinks should make us sensible of the interest we have in thinking upon God betimes, and consecrating our first years to devotion. I know very well; that the end crowns the work; but I know also, that ’tis of the utmost important to begin well to end happily. Stepping back in time to 1641, again the phrase is modified in “Experience Historie and Divinitie: Divided Into Five Books” by Richard Carpenter, Vicar of Poling, which the author and publisher described as “a small and obscure village by the seaside, neere to Arundel in Sussex.” This book was published by Order from the House of Commons. In this book, the idiom is also found. The matter of the Action must be good: the manner of the performance good, and the End good. Which thought it be extrinsecall to the Action, is intrinsecall to the goodnesse of it. I suppose, if the matter and manner be indifferent, they are good in some degree; but the End crowns the goodnesse of the work; for, it is the most eminent of all that stirre in it. The expression, again in modified form, also appeared in Act IV scene v of William Shakespeare’s tragedy, “Troilus and Cressida” written in 1602 and published in 1609. The play is set during the Trojan War, and scene takes place in the Grecian camp when Hector speaks with Ulysses. It has been mentioned in a number of texts that the idiom is a proverb, and indeed it is. The end crowns the work in Latin is finis coronat opus and was incorporated into the Baker Coat of Arms in England during the 8th century. As an interesting side note, the family name Baker prior to the 8th century was Boeccure. While Idiomation would love to be able to pinpoint the exact era from which the Latin idiom was first used, the best that can be offered is that the idiom is from the Roman and Greek era. Idiomation can say, however, that the more familiar version of this idiom these days is this: The end justifies the means. We need to recruit their entrepreneurial energy to address the problems of energy, climate, healthcare and sustainability. Firing arrows into the air may not be the answer -– readdressing the economics of R&D investment by business will be. Imagine an archer (bully) firing arrows (words) at a ghost (you). As a ghost, you are slightly amused and bored by the silly archer. The ghost cannot be hurt by the arrows. The ghost doesn’t run away or fire arrows back. The ghost just yawns. What can the archer do to the ghost? Nothing but keep firing arrows that never hit the target. The ghost smiles when the archer finally gets bored or frustrated and gives up. According to scientists, the origins of the bow and arrow are prehistoric, and are found on nearly all the continents. Back in 247 BC, the Parthian empire was so skilled in the art of archery that not even Rome could conquer them. Among many useful war-related inventions, the Parthians had a saddle with a stirrup that enabled warriors on horseback to turn and fire arrows at their enemies while riding away at full gallop during a strategic retreat. This shot was known as the Parthian shot, and the Parthian shot gave birth to the dismissive final remark expression: a parting shot. Another common expression referring to someone having more than one approach to a problem is to have more than one arrow in one’s quiver (a quiver being the correct term dating back to the 14th century that describes the case used for carrying or holding arrows). The implication is that one of those “arrows” will hit the “target” … in other words, one of those possible solutions will be the one that works best at resolving the problem at hand. 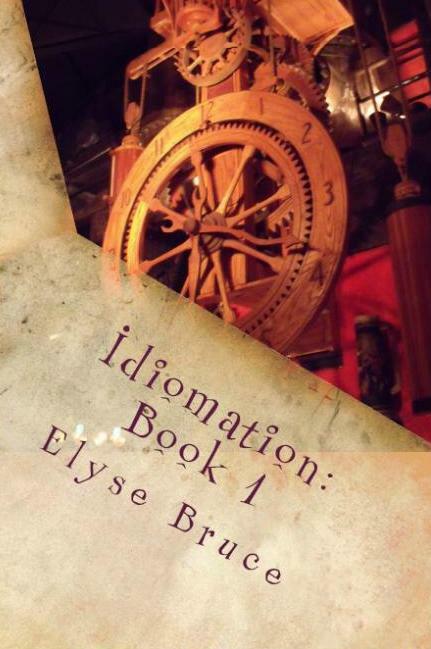 And so, while Idiomation cannot say for certain when or where the expression firing arrows first originated, Idiomation can assure readers and visitors that the expression has been around for a very long time, and in some countries at a time when people were unaware of North or South America. As soon as the idiom right as rain was published to this blog, Brian Michael Stempien wondered what the back story on not for nothing might be. Setting off to research this idiom, the many twists and turns along the way made this an intriguing idiom to track. You can lay the blame for double negatives on Latin, where positive assertions are made by way of double negatives. For example, non nulli translates into not nobody but it means everyone. No wonder this idiom gives so many people trouble! In Time magazine, in the Science and Technology section, the article, “Gagarin’s Golden Anniversary: The High Price Paid By The First Man In Space” by Jeffrey Kluger was published on April 12, 2011. The article, of course, had to do with the Russian cosmonauts and the American astronauts. In this article, the journalist used the idiom, not once, but twice! It’s not for nothing that Russia, the U.S. space community and most former Soviet republics celebrate every April 12 as Yuri’s Night, with speeches, parties and commemorative events. It’s not for nothing, too, that this year the list of countries joining the celebration has expanded to 71 — including Belgium, Australia, Canada, Chile, China, Greece, India, the Maldives, Malaysia and even Iran — or that the inevitable website complete with the inevitable online gift shop has been launched. Russian poet, musician and novelist, Mikhail Alekseevich Kuzmin (18 October 1875 – 1 March 1936) used the expression in one of his poems, “Alexandrian Songs for Nikolair Feofilaktov, II Love, #6” published in 1906.
and can interpret all things seven different ways. But even a year ago, we repeat, when it became clear that Japan was prepared to fight the huge Muscovite Empire, as she had already successfully tackled the huge Chinese Empire, in vindication of what she believed to be her right to national expansion, which seemed to her equivalent to her right of national existence, there were not wanting skeptics to maintain that the clockwork precision and the dauntless valor which had marker her war against China went, if not for nothing, yet not for very much in the face of the fact that she had never encountered the troops of a “European” Power. When Scottish novelist, poet and travel writer, Robert Louis Stevenson (November 13 1850 – December 3 1894) wrote and published “Virginibus Puerisque and Other Papers” in 1881, he included this passage in Part 1. Lastly no woman should marry a teetotaller, or a man who does not smoke. It is not for nothing that this “ignoble tobagie” as Michelet calls it, spreads all over the world. It’s an expression that’s been used for centuries, and appears in William Shakespeare’s “The Merchant Of Venice” that was published in 1596. The passage appears in Act II, Scene V.
The expression was used freely in this comedy and the audience knew what it meant. Idiomation is therefore led to believe that not for nothing was a common expression at the time, and its existence lies somewhere in the years before the play was written. At the very least, it was a known expression around 300 BC, and possibly earlier than that.